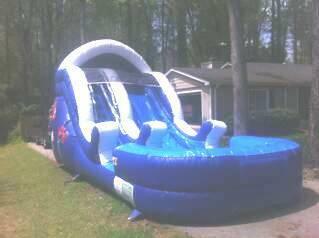 This beautiful Ocean Slide is great for any event or party. The unit has a ladder to climb to the top of the slide. Equipment requires an area at least 35 x 20 feet and 1 - 20 amp - 110v power outlet. If used wet a water source should be within 50'.